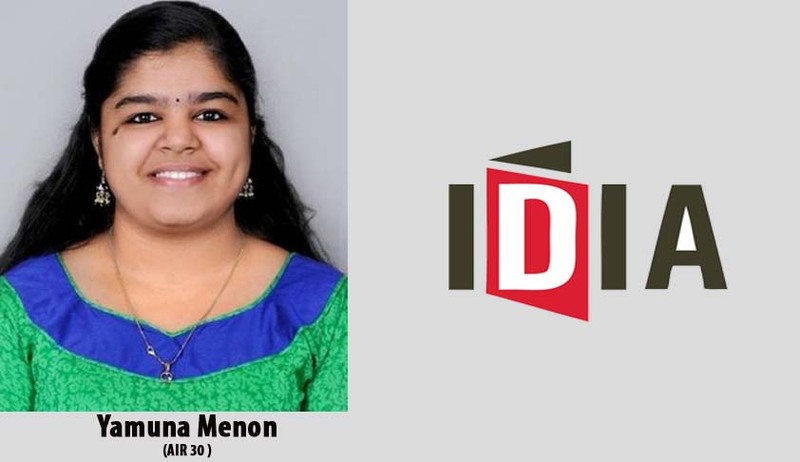 Yamuna Menon, an IDIA scholar from Kerala has secured 30th rank CLAT, 2015. She belongs to Udayamperoor, near Cochin. An extremely bright student, Yamuna secured an overall percentage of 95.8% in her Higher Secondary School Examinations. This was her second attempt at CLAT and she did not disappoint, thanks to training and mentorship by IDIA. Yamuna Menon: God Almighty. Without God’s grace I could not have achieved this. My parents, IDIA and Heritage, the coaching centre where I went, have also played a major role. LiveLaw: How did you come in contact with IDIA? Yamuna Menon: I saw an article in one of the daily newspapers and had sent an email to which they replied. I also went through a written test in January. LiveLaw: How many students were chosen for the IDIA, Kerala Chapter? How did they fare in CLAT 2015? Yamuna Menon: I think only two were selected including me. I don’t know about the other person’s result. LiveLaw: What is the mechanism of preparation adopted by IDIA? Does it focus on each child separately or on classroom/ group learning? Yamuna Menon: I went for the weekend classes of IDIA in March. Since only two of us were there, I definitely got individual attention. There was a mentor for each of the five subjects in CLAT. Since I had taken coaching from Heritage I started giving mocks by IDIA from the second class itself. Their course included study material and mock tests. Yamuna Menon: Once I decided to repeat for CLAT, I always made sure that I did not deviate from my focus. I spent majority of my time for static G.K. and English. I also referred some books. There is no such specific strategy, whichever area one finds more difficult than the others, spent more time on it. Hard Work with Commitment – That is the mantra. Yamuna Menon: For me it was English. The vast ocean of vocabulary, idioms, foreign words etc posed a difficulty. Even after spending a quality time on English, for CLAT I found some words to find the meanings hard. Yamuna Menon: CLAT 2015 was really different from CLAT 2014. English section had new pattern questions. In place of answering one question in 2014, you had to answer nearly 3-4 questions in order to answer just one question in 2015 (only for some questions). G.K. section was dominated by current affairs in 2015. Logical reasoning had both analytical and critical reasoning questions in 2015 unlike only analytical in 2014. Legal knowledge and legal news was tested in 2015. In 2014 only legal reasoning was there. Math had majority of its questions from numerical ability in 2015. LiveLaw: CLAT was online this year. Did you face any hurdle because of that or is taking it online more convenient? Yamuna Menon: For me online mode was more comfortable. It saves time which is otherwise used for marking in the OMR sheet. Also we could change the options marked, review easily. Altogether I was happy with the online mode. Yamuna Menon: For me G.K. was the easiest section. The toughest sections were English and Math. Yamuna Menon: I started with G.K.- 10 minutes. Then moved on to Logic – 30 minutes, Legal – 30 minutes, English – 20 minutes, Math – 20 minutes and rest for checking. Yamuna Menon: There was no specific allotted timing. I would select a topic and would finish it how much ever time it takes. LiveLaw: Was there a moment when you felt demotivated? If yes, then how did you overcome it and climb your way to success? Yamuna Menon: Once I decided to repeat, there was no going back. Yamuna Menon: Don’t lose focus and whatever you are doing do it for yourself and not for the sake of others.